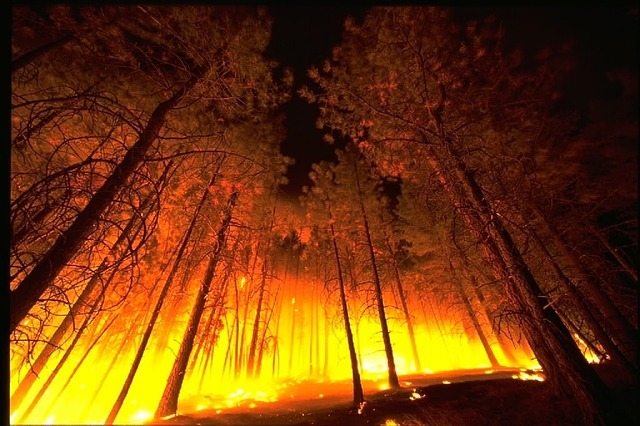 Like most natural disasters, large-scale wildfires do not respect jurisdictional boundaries. This makes them an excellent test case for exploring the sometimes conflicting missions and approaches among the various federal, state, and local agencies tasked with wildfire management – the topic of a recent article published in Public Administration Review. Authors Casey J. Fleming, Emily B. McCartha and Toddi A. Steelman look at wildfire management and ask how perceived mission alignment among the federal, state, and local agencies tasked with wildfire response influences the perceived capacity of those agencies to effectively manage conflict and work together. In other words, does a perceived alignment of mission and approach among collaboration partners increase perceptions of the collaboration’s ability to manage conflict? For example, while the U.S. Forest Service (USFS) and Bureau of Land Management (BLM) follow “multiple use mandates” — meaning the flexible manage­ment of lands so they best meet the present and future needs of the American people — the National Park Service (NPS) and U.S. Fish and Wildlife Service (USFWS) have narrow, singularly-oriented missions. The conflict between these approaches can be seen in the debate over whether to follow a suppression-oriented approach to wildfire management, which prioritizes the singular approach of extinguishing wildfires, or whether to more flexibly allow wildfires to burn naturally and play an ecological role in a fire-adapted ecosystem. Differences in mission and approach are not “inherently harmful or undesirable,” the authors point out, as the differences may “reflect the strategic decisions of agencies to serve divergent yet meaningful purposes.” But they may “create tensions” that require proactive management to produce a successful collaboration. The authors hypothesized that perceived mission differences like the one above would play a role in perceived ability of agencies to manage conflict and collaborate effectively. Yet managing conflict is an inherent activity in managing collaborations, where partners must balance sometimes-competing missions of their organizations and of the collaboration. Their findings, which generally support their hypothesis, hold key lessons for practitioners. Be mindful of the impact of the varying missions of collaboration partners on perceptions among partners of the ability to manage conflict and collaborate effectively. The authors found that perceptions of mission misalignment directly affect perceptions of capacity to manage conflict. Specifically, the authors found that USFS personnel perceived significantly less mission misalignment with BLM than other federal agencies that have narrow missions. This suggests that the similarity in the agencies’ formally stated multiple use missions influences perceptions of their ability to work together. Cross-sector partners inevitably come to collaborations with varying organizational missions, even if they share a vision of success. We suggest establishing a transparency of viewpoints and having open, honest discussions about these perceived differences can be a powerful mitigation strategy. Collaborations that prioritize consensus building in areas such as build a common fact base, agree on measures of success and establish a governance structure may also be better suited to address these perceived differences and mitigate the conflicts that may arise from them. Work to build decision-making and project-management structures upon which all partners agree. The authors note that formal collaborative structures such as the Incident Command Structure (ICS) — which “requires actors [during wildfires] from all levels of government to assume set positions in a pre-specified, practiced, hierarchical, response team to achieve a unified mission” — does not mitigate perceptions of mission misalignment. “This is problematic only in that the policies that encourage collaboration through structural frameworks …may not be creating the type of conflict-free collaboration intended,” the authors argue. 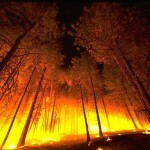 “Alternatively,” they offer, “recognizing these differences creates an opportunity to more explicitly ‘agree to disagree’ about how a wildfire is managed given the differing missions and mandates.” This highlights the critical nature of building consensus around collaboration steps such as establish a governance structure and identify a manager. When partners have confidence in the process used to establish these formal systems and processes, they are more likely to have confidence in the decisions made. Author: The Intersector Project is a 501(c)(3) nonprofit organization dedicated to advancing cross-sector collaboration as a way to address society’s pressing issues. We work to provide practitioners in every sector with the tools they need to implement collaborative solutions to complex problems. The intersector is a space where collaboration among government, business and nonprofit sectors enables leaders to share expertise, resources and authority to address problems that cannot be solved by one sector alone.